We recently were bidding on a single word domain name and in follow on discussions with the owner I had a realization. Most domainers believe (or want to believe) that they are getting a million dollar pay day – today! Here’s some advice – Tell ‘im ‘e’s dreamin’. Over the years, I have been low balled on some of the single word domain names I registered while studying at the University of Melbourne. I have declined all of them. There are lots of great domains available if you look at the keywords that users are searching on. In industries where advertising is very difficult. Recently, a client was looking at how to advertise in a restricted industy for adult jobs in Sydney and following a review of Google Keyword Planner, the keywords that had the most search traffic were the available domain name. Years ago I had the pleasure of meeting the Roderick McAllery, owner of The Trading Post in Sydney – he told me his grandfather conceived the idea whilst in the battlefield trenches during World War II. Many diggers bought and sold via The Trading Post to make money. It seems the domainers have lost that Aussie Spirit and have lofty ideas on what the true value of their largely unmonetized real estate is. The Industry Operator: Owned by a business/professional within their industry – as per dentist being owned by an actual dentist. In many cases this person is just forwarding the domain into their corporate website. Have probably had the domain for many years. Good chance they have already been approached by people wanting to buy their domains. The Capitalist: Someone who has set up a website on a good domain, served some Google ads and bs content. Usually a bit of a tech geek / online marketing guy. Probably has some view of what their domain is worth – no doubt much higher than its actual value. The Lucky Opportunist: Someone who managed to register a great domain name early on and has no idea what to do with it but knows they have something of value. The Savvy Domainer: e.g. Dark Blue Sea. Usually an ads portal site. Going to want a lot for the domain if they even want to sell it at all. I wanted to let everyone know we use Egnyte.com here at SearchForecast for online file sharing between employees and business partners. As we have folks in Sydney, Pune, New York, Palo Alto, we find cloud file server provides a powerful solution. We are also using Egnyte to auto-backup our computers and network each day which is very easy to administer. Check them out at www.egnyte.com – they make the cloud with a silver lining! We recently reviewed over 50 webmaster blogs and webmaster seo forums globally, informing them of our website marketplace where webmasters can buy and sell websites. I wanted to share Triphp.com with you as I think it’s one of the better webmaster blogs available. Check it out if you have time. 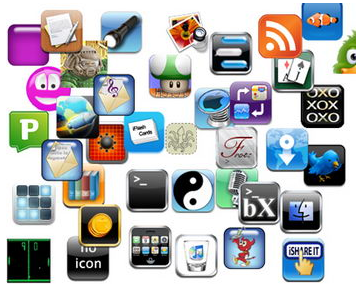 I went to a meet up of iphone app developers in San Francisco recently and was left speechless by the number of despondent iphone app developers having problems selling and promoting their app on the AppStore. Being a shareholder of Playhaven.com, I know to well how important it is and the limited opportunities for app developers to promote their iphone app or sell iphone apps they have created. Same same for Google! This is why we decided to allow iphone apps to be sold in the iphone app marketplace and hope that developers find alternative ways to buy and sell their technology. Shelley Ellis has done a great job producing this video titled “How SearchForecast is De-Anonymizing Google Anonymous URLs“. 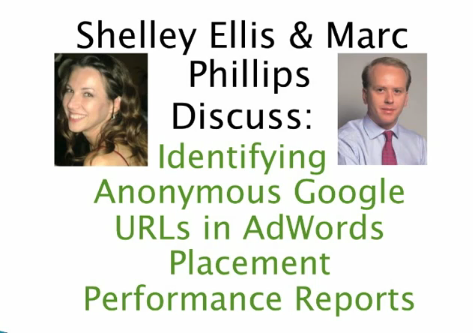 Shelley interviews Marc Phillips, who discusses the process of how SearchForecast can find the URLs Google is showing as “anonymous” to advertisers who target ads automatically across their Content Network of AdSense Publishers. 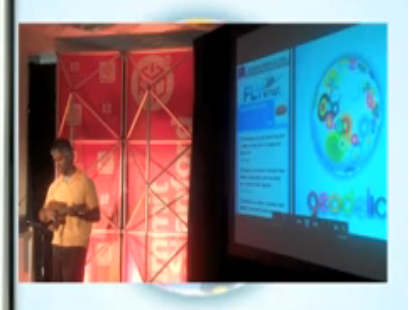 The “best presentation I’ve head in 10 years” is how one person described it…..
At the AlwaysOn Conference, the audience were treated to a very entertaining pitch given by Rahul Sonnad, CEO & Founder of Geodelic. As you’ll see when you watch this musical riff of the journey of Geodelic vis-a-vis Facebook, Google and Yahoo! – Rahul and Geodelic have a “technodelic” look and breaking new ground in combining brands to be consumed by mobile users in an entertaining way. Even Sergey Brin, founder of Google, is shown checking out the app. View the Geodelic – Ukele Smashing Presentation Video. Maybe Google & Yelp should start singing from the Geodelic song book !